Actress Anna McGahan arrives at Australians In Film Screening Of '100 Bloody Acres' at the Silent Movie Theatre on June 24, 2013 in Los Angeles, California. 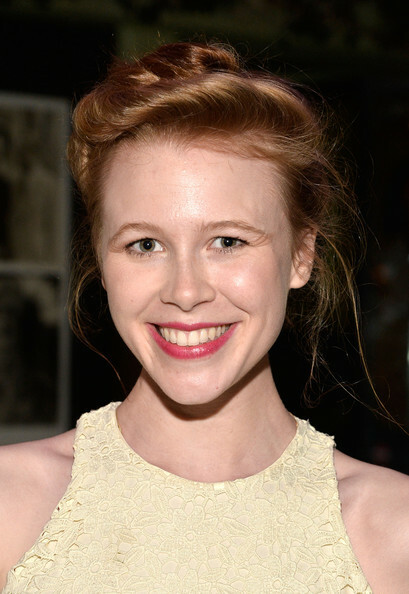 Anna McGahan pinned back her strawberry tresses into a high pinned updo at the '100 Bloody Acres' screening in LA. Anna brought out the natural pink tones in her skin with this bright fuchsia lipstick.